Celebrate the special moments with this exquisite gift of Godiva truffles and chocolate. 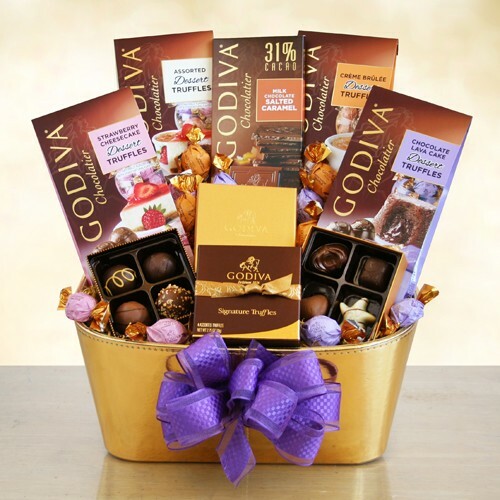 Set in a decorative gold container, this generous gift includes two Godiva sets of boxed signature truffles, bags of strawberry cheesecake truffles, chocolate lava cake truffles, creme brulee truffles and assorted Godiva truffles. Enjoy a sweet finish with a Godiva milk chocolate salted caramel bar. Grand!